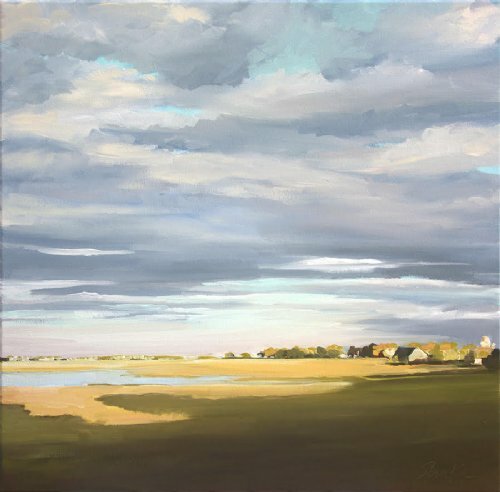 Priscilla Serafin is an oil painter who is inspired by the natural landscape, and focuses on the eternal beauty of the coastal marshes along the north shore of Massachusetts. 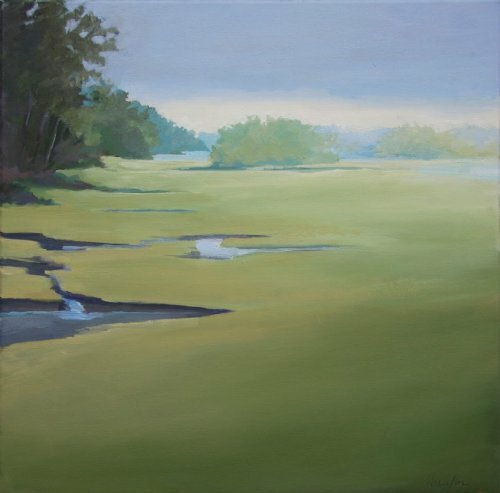 She begins en plein air (painting outdoors, on location) to capture the essence of the light, then in her studio, explores the space between abstraction and representation. 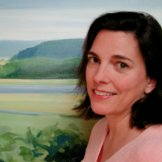 She earned her Bachelor of Fine Arts from West Virginia University in 1984 and in 1986 completed her Master of Fine Arts in Graphic Design from Yale University. 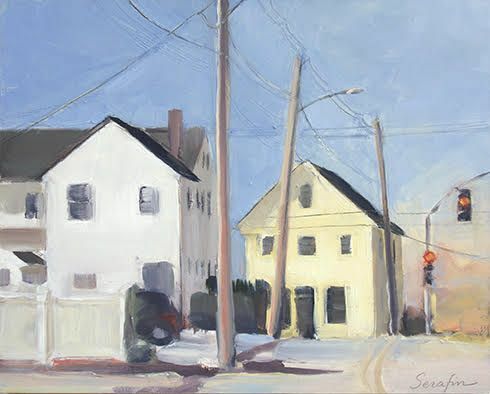 As an artist-in-residence at the Vermont Studio Center in Johnson, Vermont she has studied with Wolf Kahn and Suzanne Coffey.